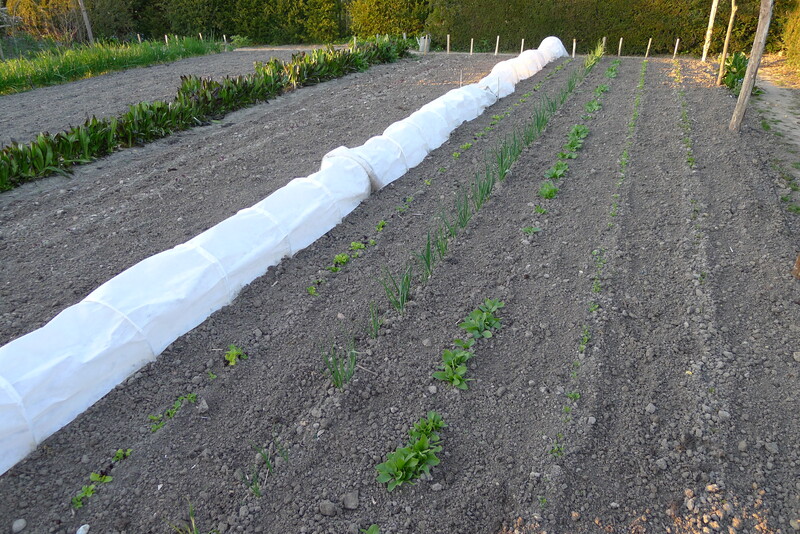 We got more into the ground today, it is great back at the end of the day to see more rows of plants in, today it was Lettuce ‘Lobjort’s green’, the seed for these was sown on 03/04/15 and Broccoli ‘Summer purple’ and Brokali ‘Apollo F1 hybrid’ both of these where sown on 14/03/15. 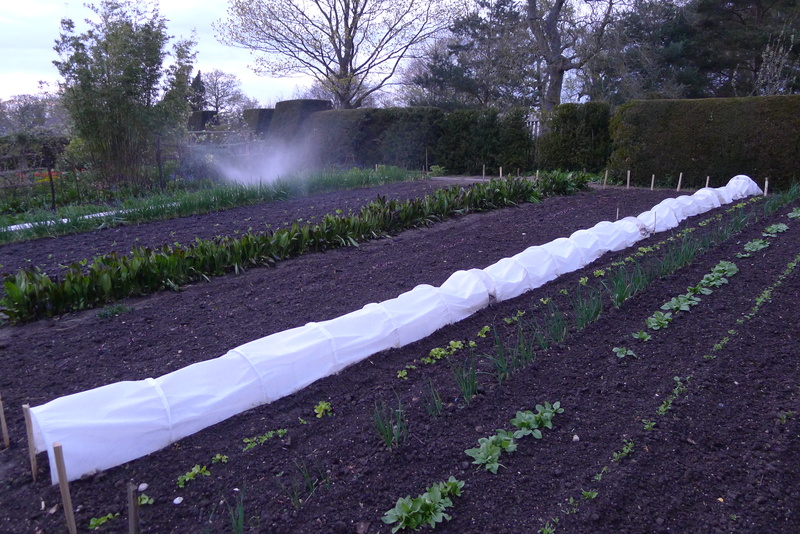 Thomas also got another row of Beetroot ‘Boltardy’ in the ground yesterday, the garden is looking well stocked already. Beetroot is the crop that I want to keep putting in so we have a summer of it. Laren Kurland is a saint, we had another great day in the garden but Laren was such a great help, the beetroot needed to be thined and the plants that where thined have to be used on another row, Laren got two more rows so now we have three rows of beetroot. We now have the water on the plants so they will not be too unhappy about it all. I am growing things a lot closer this year to try and get more in the garden. Thomas who…….. I have a team now up in the vegetable garden, not only do I have Thomas helping but I also have help from friends from the U.S, the Kurlands are over for the week and I am enjoying having the extra help. Today we got the last of the potatoes in, we have planted two rows of P. ‘Pink fur Apple’ and a new row of spinach, Thaings are looking great up in the garden, we are also getting on top of those little weedy areas. 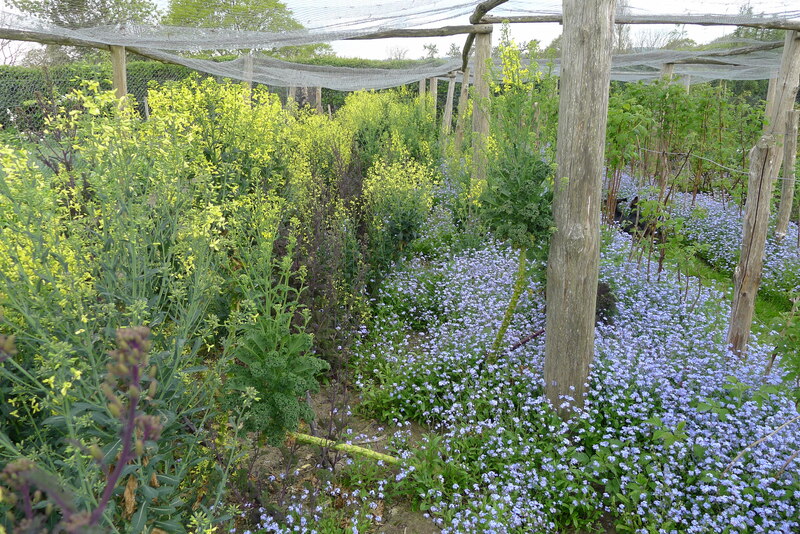 Sometimes it is good to stop a show while it is still looking perfect, that is what we did today in the fruit cage, we took the Kale out while it was in full flower. I need to get the potatoes in the area that we had the Kale, so out it came. 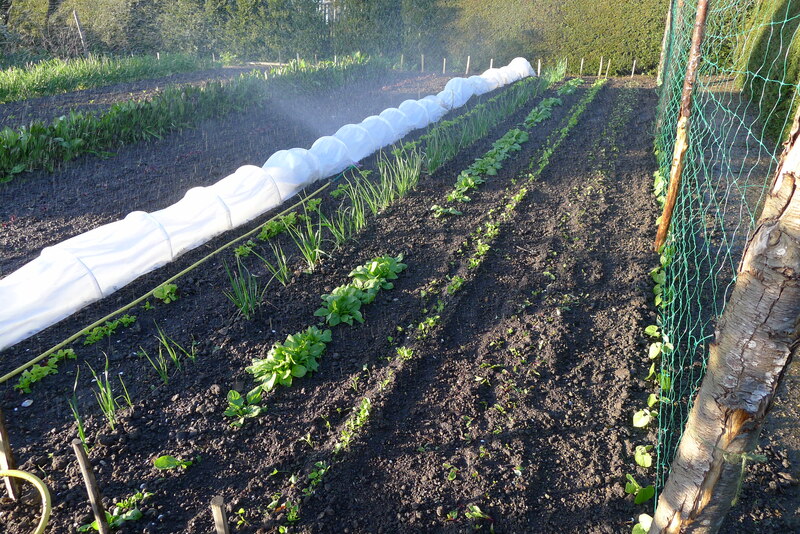 I have to say it really was a great winter crop and I am already looking forward to planting another lot for next winter, I will not sow the seed till later in summer. I gave up waiting for rain today and have started to get water onto the garden, I do not want the young plants to go back with a lack of water. Thomas and I spent the day getting a lot of seedlings into the garden, I want these to have a good watering in. they do keep saying that we are going to get rain but it never seems to make it down here in the South East so I can no longer wait, it will rain now. The High Garden is getting the water today, the fruit cage will have it tomorrow, the soft fruit has started to flower and put leaves out so some water will be great. It is very important to have beauty around you, there are very many forms in everyday life but for me at the monent it is in the form of the row of parrot tluips i planed with my dear friend Shira in the autumn, they where a gift from another dear friend Laura who has made it into the May issue of Gardens Illustrated on page 89, she may have the most romantic gardens I have ever visited. These tulips have made me want to go to a summer ball with a girl in a dress in this colour. 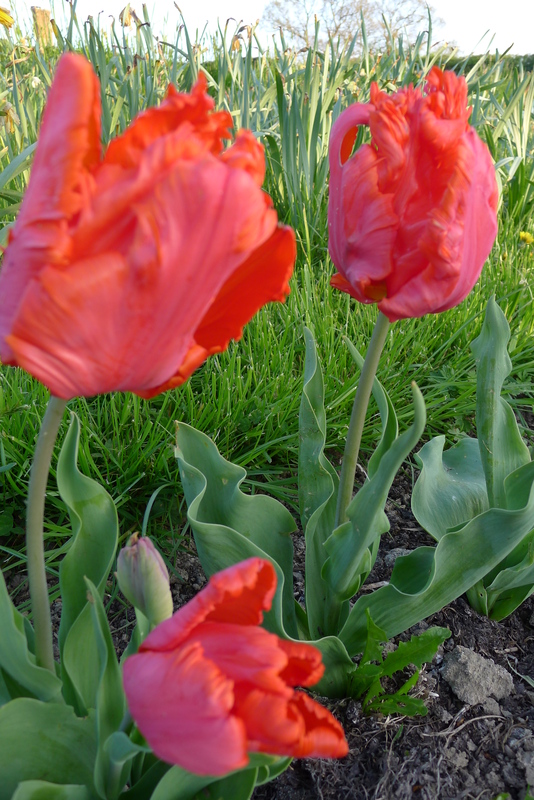 The tulips draw me in very time I walk past them. 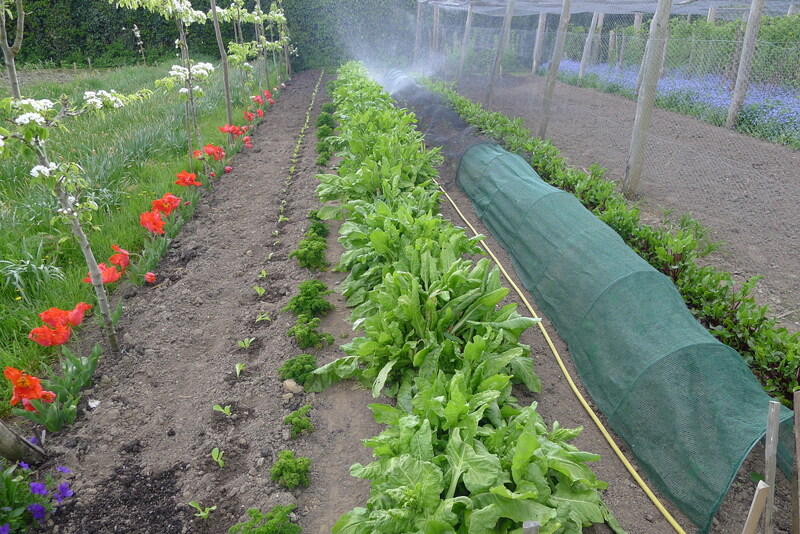 At this time of the year while it is warm and dry getting on top of the weeds is a very important thing to do, the weeds will not then start to compete with the young seedlings. Today I got onto my hands and knees and hand weeded the rows of young vegetables seedlings. 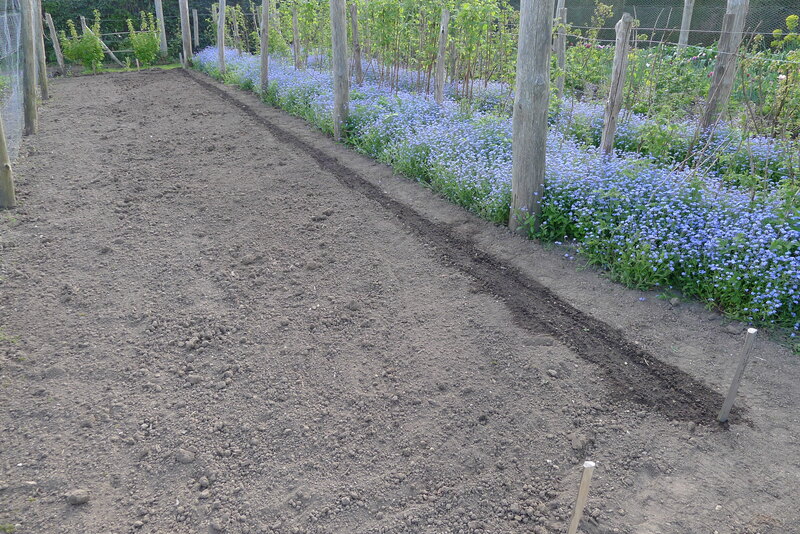 Then ran a hoe down the rows, the area looks so much better for it, you can now really see the rows of seedlings. It was also great to be that close just to see how well they are doing. I am going to have to think about watering if there is no rain by the end of the week.